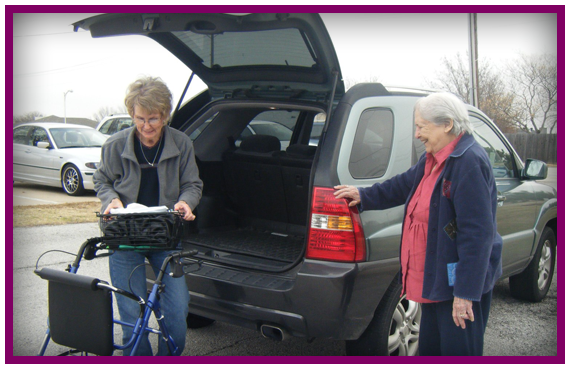 Social Transportation for Seniors (STS) started as an idea to bring seniors out of isolation and into the community and to senior centers. Knowing the need was there but not sure how to help seniors, STS was born. In September 9, 2009 our doors were open with only three drivers and 12 participants. It has grown to 19 drivers and 47 participants. As of May 2012, we are only three years young and have a long way to go. The experiences we have had and the smiles we have placed on our participants’ faces cannot begin to tell of the gratitude that we receive every time we help our participants. Helping our seniors and knowing they are getting out in the community keeps STS going forward because we know we are providing a service that is needed every day more and more as our seniors retire from driving. Come join us and be a part of this fun and exciting great service!